Combining classic style with modern craftsmanship, Rick Hinderer Knives introduces their new Half Track tactical flipper. 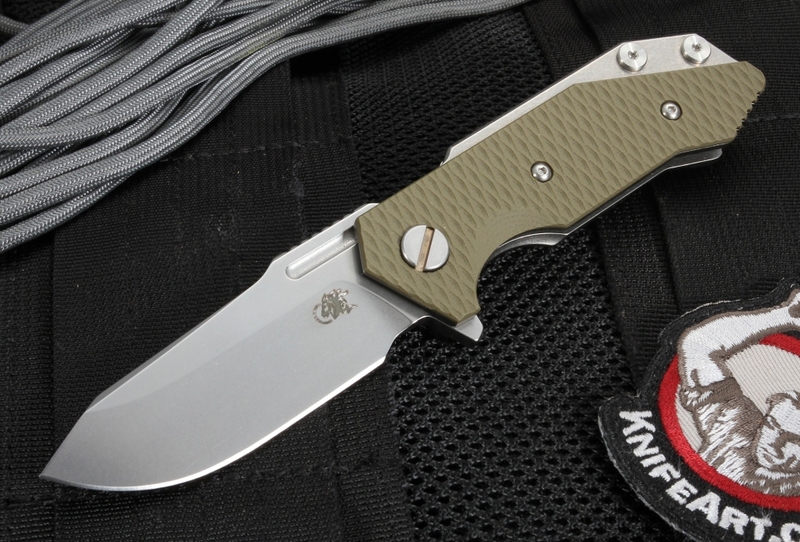 Sporting a handle of rugged stonewashed titanium and textured OD Green G-10 along with a durable CPM S35VN stainless steel blade, this knife is both beautiful to look at and reliable to work with. Designed by founder Rick Hinderer, the Half Track folder is small in size but large in stature, with the toughness to outperform other compact folders and the style to outshine them in a display case. The Hinderer Half Track is an American-made, high-quality product that should get knife users, collectors and enthusiasts excited. The Half Track is a compact 3.875 inches when closed with a 2.75-inch blade. But don't let the size fool you into thinking this is inadequate knife. The heavy-use blade of the Hinderer Knives Half Track is made of Crucible S35VN stainless steel that has been stonewashed - a scratch hiding finish for added durability and toughness. The CPM process provides an even distribution of carbides for both edge retention and toughness. This high-quality steel means a sharpened blade will keep its edge and won't disappoint when you need it. The spear point blade, Hinderer's version of the classic drop point, is a proven all-purpose shape for difficult cutting and piercing tasks. And at 0.165 inches, it has the same thickness as a 3.5-inch long XM-18 blade, giving it astounding ruggedness. Jimping notches on the blade spine provide your thumb with more traction when working. 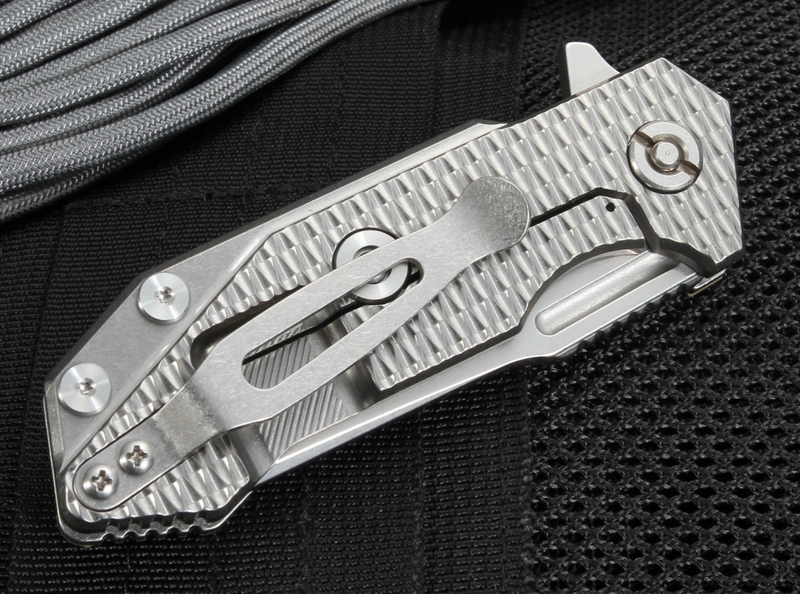 Compact and portable, this knife is equipped with both a titanium pocket clip and spacer pins. 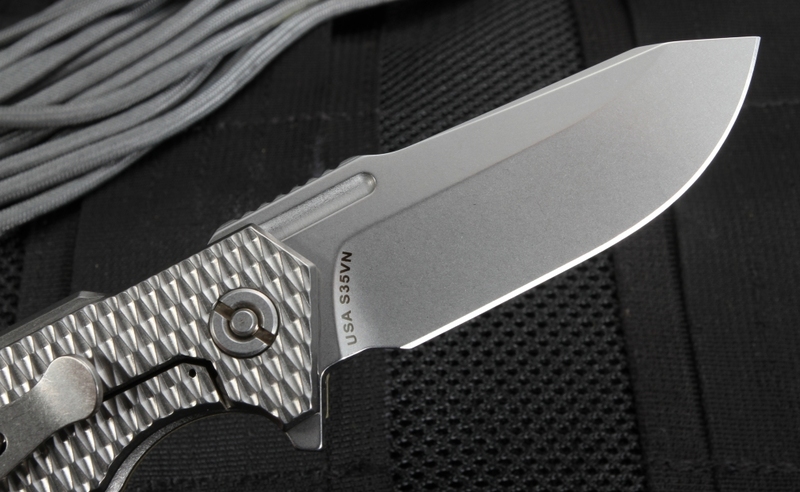 In fact, the entire frame is constructed of titanium, keeping the knife light and strong. 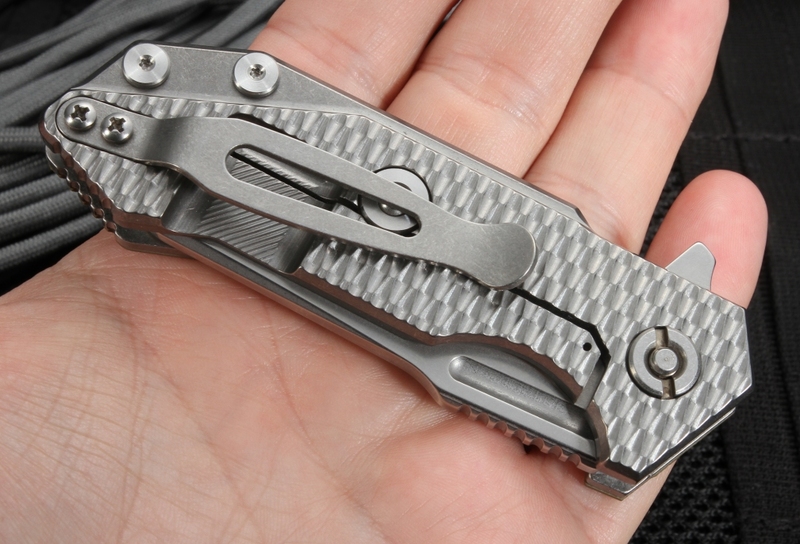 With a weight of 5.1 ounces, the Rick Hinderer Half Track is a great pick for everyday carry. 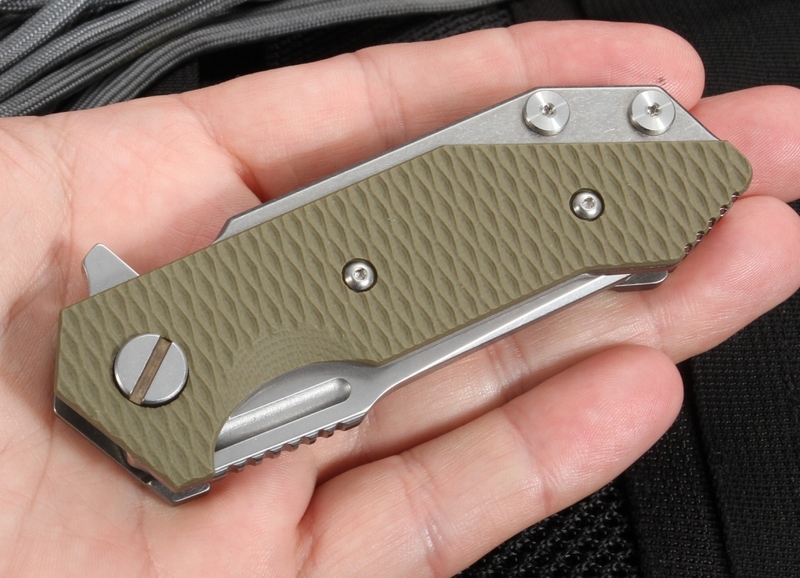 The stonewashed titanium contoured handle has a machined olive drab green G-10 handle scale on both sides as well as a flipper for convenient right- or left-hand operation. 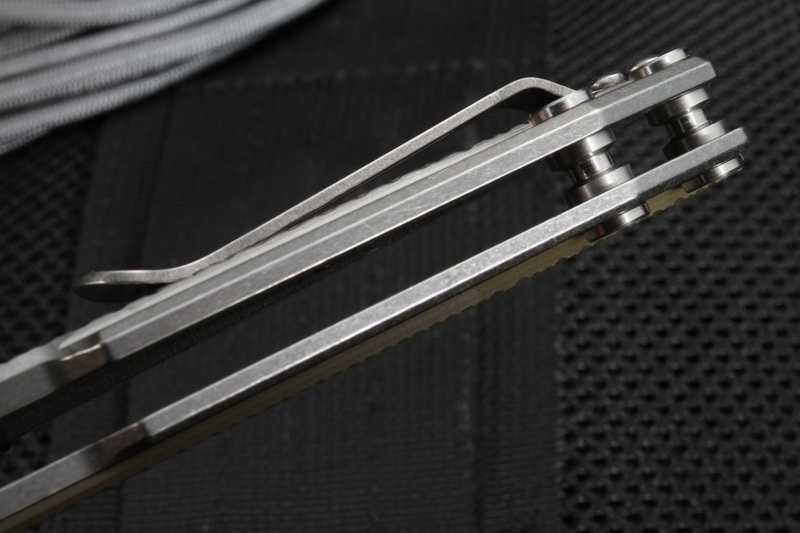 The flipper serves as an index finger guard in the open position. The knife is also equipped with a Rick Hinderer frame lock and lock bar stabilizer to help ensure your Half Track stays open and locked when you want it to. 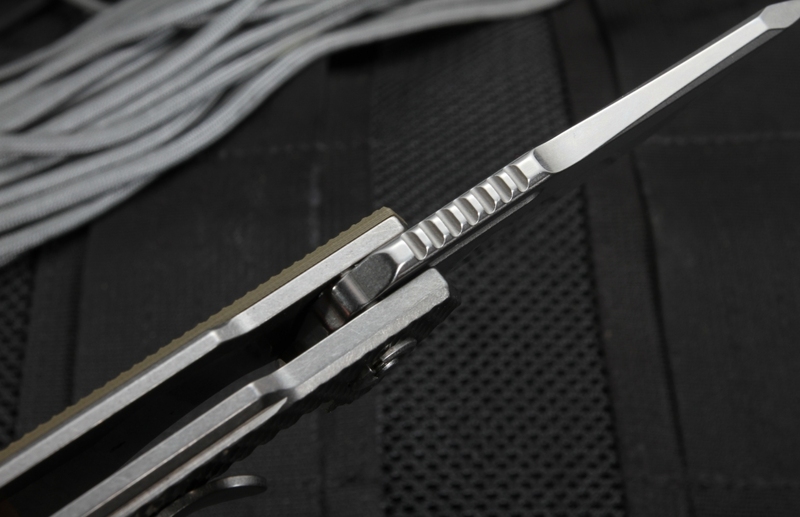 The stonewashed pocket clip is mounted blade tip up to prevent accidental deployment. 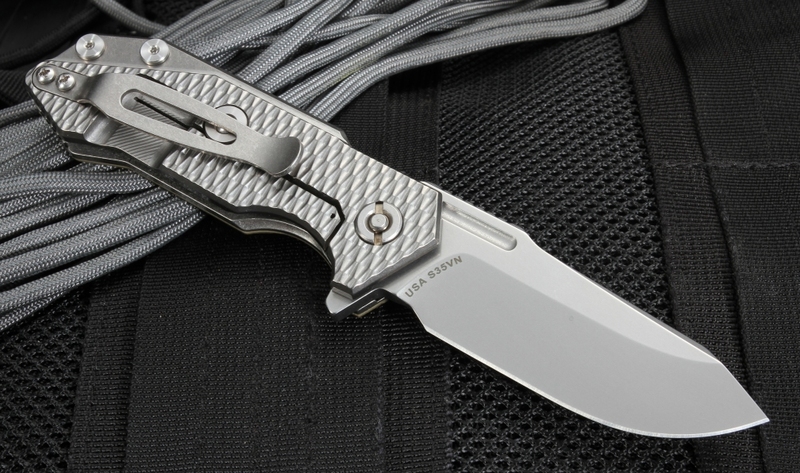 If you need a quality American-made knife that is dependable and stunning, look no further than Rick Hinderer's new Half Track tactical folding knife. It's the perfect balance of stability, beauty and durability. Emergency responders, law enforcement personnel and others who need a discreet but impressive knife will love the Half Track OD Green G-10. KnifeArt is an authorized dealer of Rick Hinderer Knives and can offer you the best prices on the newest tactical tools. We also have same-day shipping that's free in the U.S. to quickly get this fine knife into your arsenal. A limited lifetime warranty covers any material or craftsmanship defects for as long as you own your knife. I've been collecting knives since I was about 7 years old, I'm 62 now and have hundreds of knives and I've always been looking for that perfect EDC knife, so far this is the closest I've come. I love the quality, and the substantial feel. I just feel weird checking my pocket every 5 minutes that my 400.00+ knife is still there. Thank you so much.